Zarniwoop wrote: So any of the LOW folk have a YETI cooler or have buddies who have them? I need to upgrade my cooler for motocross days. I’ve just got one of those cheap things you’d buy at Dicck’s Sporting Goods and it’s not quite good enough for my needs. On motocross days we are can be out in the hot sun for 8-10 hours. We pack food in it and by the end of the day the ice is water which is ok for drinks but not ideal for food. I know they are insanely expensive but are they worth it? If not, is their a mid level brand that works well? Other higher prices brands that can work are Bison, Orca and Pelican. Deuce wrote: I had a weird day yesterday. My boss came into my office and let me know I was getting a raise that I had no idea was even a possibility. Then, a couple hours later, my dermatologist called to tell me I had a Basal Cell Carcinoma and needed to come in to have it removed. I don't think it's a huge deal but definitely squashed my excitement. Anyone here dealt with one? Make sure the surgeon is MOHS certified (https://www.skincancer.org/skin-cancer-information/mohs-surgery), and get ALL of it .. it's a HUGE deal and be greatful you can enjoy that raise for years to come. I had one removed in 2004. Skin cancer is a very silent killer, and usually reasons for other types of cancers to developer. Thanks. I checked their site and the place I'm going lists and has a lot of information about MOHs surgery so I should be good! Yeah... No way I'd spend that kind of money on a cooler. Especially for the occasional outdoor weekend. We don't camp much but we do ride every weekend. I don't need it to last overnight....just through the day. Buc2 wrote: Yeah... No way I'd spend that kind of money on a cooler. Especially for the occasional outdoor weekend. I'm looking at BUBBA now. They don't seem to do coolers...just cups, mugs, etc. I would buy 10 Coleman coolers before I would buy 1 Yeti. I don't care if it keeps my beer ice cold in death valley for 3 weeks. It's still a waste of money. For just a day trip, I like those canvas ones just fine. They're a lot more portable. I have one that even has wheels and a handle to pull it with. 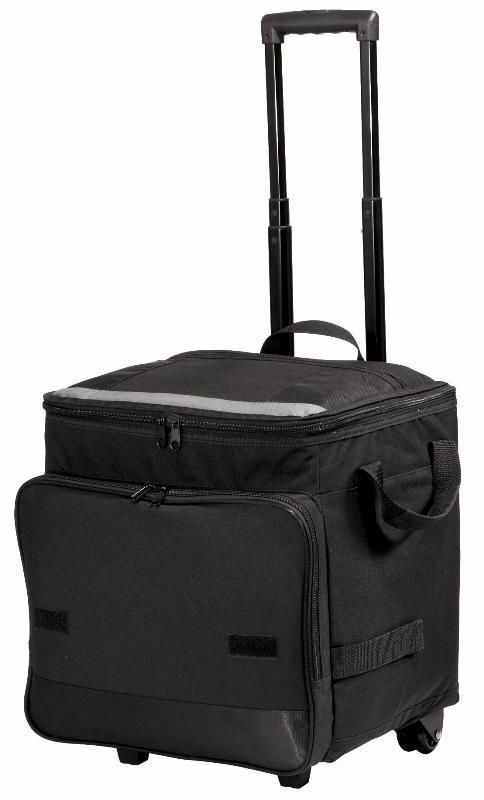 Edit (more info): just saw the one we have in Walmart..$56...it's a 2 in 1..drinks and ice in 1 compartment, food in the other (so you don't get those soggy sandwiches )...has wheels so it's easy to pull..
LOVE this thing...took it to the beach everyday last year when in Ocean City..
Mountaineer Buc wrote: I would buy 10 Coleman coolers before I would buy 1 Yeti. I'm right here ... I don't need a holder to keep coffee hot that long, I drink mine thanks. I also don't camp, boat, or hunt. how long would it keep ice? I'm sure they're awesome coolers. I just don't feel like I'd get $400 worth of utility out of one. Ours kept ice all day...and we camped when we went down there, so the ice would go in around 7am and still be solid as hell at 5 after a day on the beach...we kept sandwiches and stuff on top, no issues with sogginess or spoilage..
Who's in charge of the next apocalypse? I'm not really making fun but just pointing out irony. A guy drowned in Tallahassee over the weekend. That guy's name? Patrick Salmon. Zarniwoop wrote: Who's in charge of the next apocalypse? I got it ... it will be by the end of next week .. GO [easily explained after the event. It's not random, and will be make total sense]. I went to that festival a couple years ago in Maryland. It was possibly the best festival I have ever been to. The free food lines were long as hell. But we had 4 guys. One guy would wait on line, the other 3 would go to the bourbon table right across. They were pouring Bookers, Bakers, and the other 2 that go along with them. We'd grab a couple shots of each, go to the line, then go back to the table. NYBF wrote: I went to that festival a couple years ago in Maryland. It was possibly the best festival I have ever been to. The free food lines were long as hell. But we had 4 guys. One guy would wait on line, the other 3 would go to the bourbon table right across. They were pouring Bookers, Bakers, and the other 2 that go along with them. We'd grab a couple shots of each, go to the line, then go back to the table. Good to hear. I'm looking forward to it. I've been to all the more local ones, multiple times, so I'm ready for something different. Have you found life and not told anyone ? I’ve been busy doing nothing. Since when did that ever stop you? Buc2 wrote: Since when did that ever stop you?